One ladies 14k yellow gold Diamond Ring weighing approx. 4.90 grams. 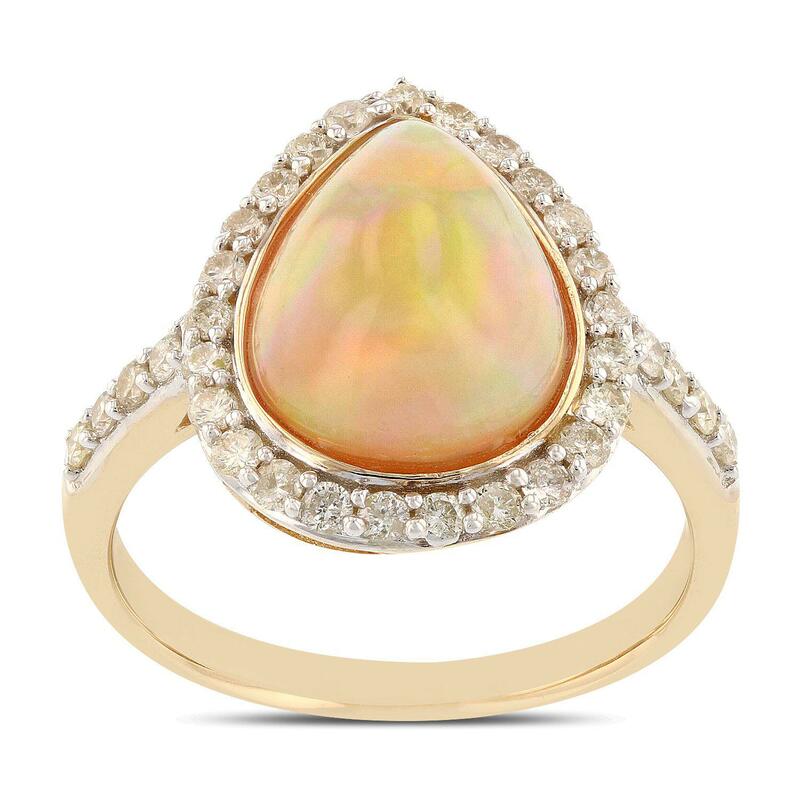 Containing: One Pear Cabochon Opal weighing approx. 3.36 carat and 33 Round Brilliant cut Diamonds total weight approx. 0.52 carat (see below).